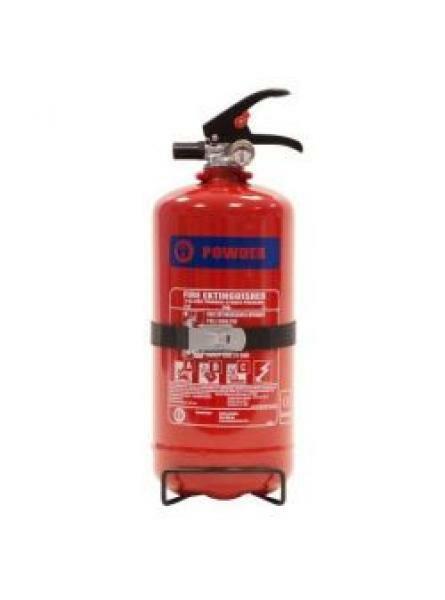 Dry powder extinguishers are extremely versatile, and can be used on fires in Class A, B or C – involving flammable liquids, electrical fires, or burning materials like wood or paper. However, if the fire could involve computers, choose residue-free CO2 Fire Extinguishers. 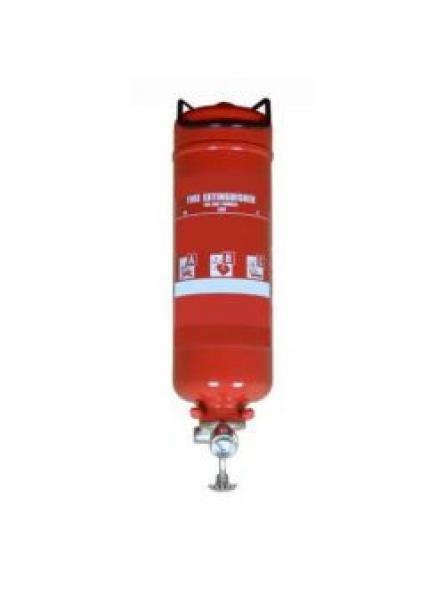 Specialist applications require particular types of dry powder fire extinguishers, such as a Monnex fire extinguisher for fuel storage or motorsport, or L2 fire extinguishers for burning metal fires. 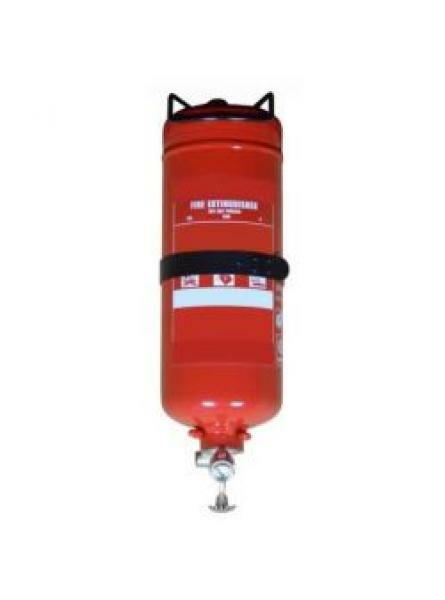 Popular for a car extinguisher is the 600g aerosol extinguisher or the 1kg dry powder extinguisher. 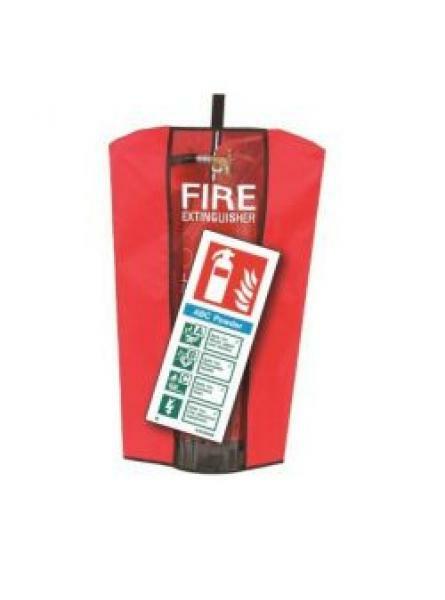 A few clicks will secure a powder fire extinguisher to protect your premises in the event of just about any kind of fire. 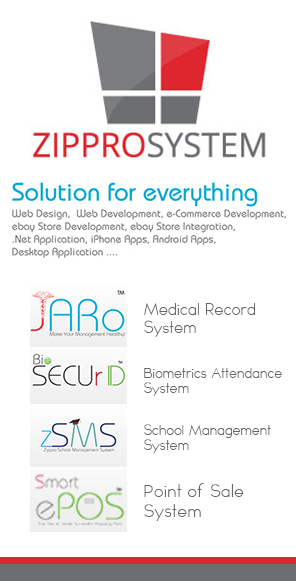 For more information feel free to call us on 02084320800. 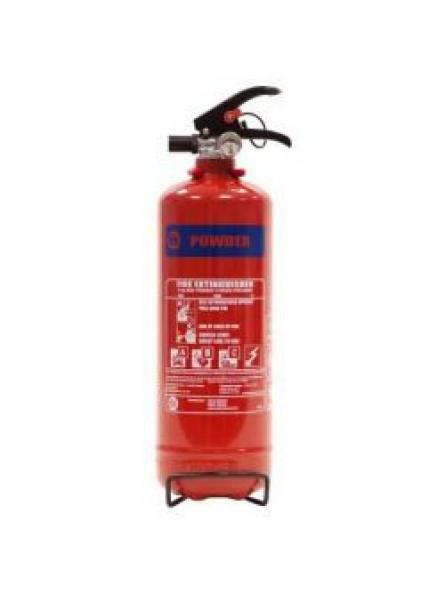 Dry Powder fire extinguishers work by chemical reaction with the fire causing the particles to expand , chemically inhibiting combustion and expelling the oxygen necessary for combustion thereby "knocking down" the flames. Dry Powder fire extinguishers are colour coded with a blue label. Pull out the retaining pin (this will break the plastic "pull tight" security seal) and squeeze the grip to discharge the extinguisher. On fires involving either liquids in containers direct the nozzle towards the near edge of the fire. With the rapid sweeping motion drive the fire towards the far edge until all the flames are extinguished. On fires involving flowing liquids, direct the nozzle at the base of the flames and sweep upwards. On fires in electrical equipment, switch off the power supply if safe to do so and then direct the nozzle straight at the fire. Where the fire is in an enclosed compartment, direct into any opening with the object of penetrating the interior. When the fire appears to be extinguished release the grip to shut off the discharge and allow the atmosphere to clear. If any flame is then still visible, discharge again. 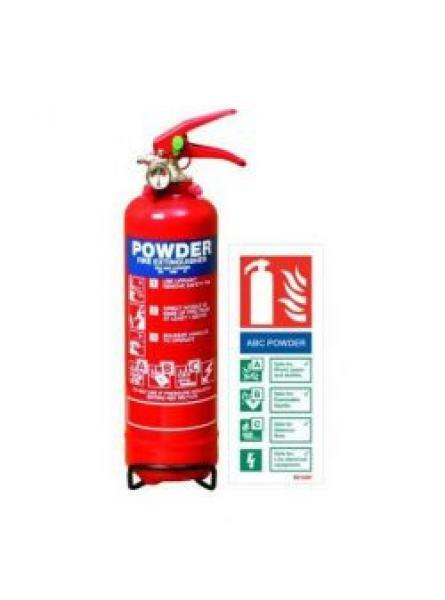 12kg Dry Powder Fire Extinguisher for use on fires involving wood, paper, textiles, flammable liqui..
FREE WHITE RIGID ID SIGN AND COVER WITH THIS FIRE EXTINGUISHER. 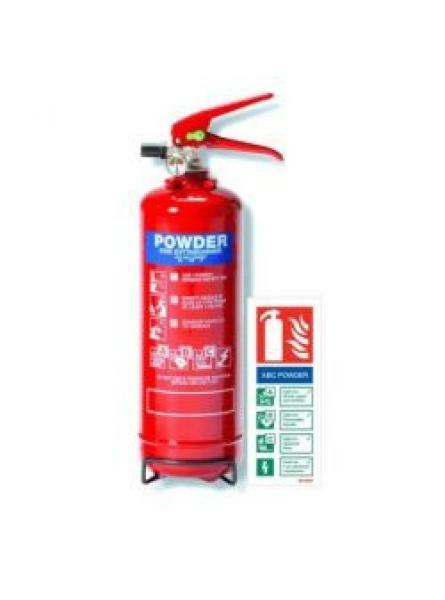 (Worth £11.29 ex VAT)This high capa..
1kg Automatic Dry Powder Fire Extinguisher for use in small, unmanned enclosures.Features:•	For Clas..
1kg Dry Powder Fire Extinguisher for tackling wood, paper, flammable liquids, flammable gases and el..
FREE WHITE RIGID ID SIGN WITH THIS FIRE EXTINGUISHER. 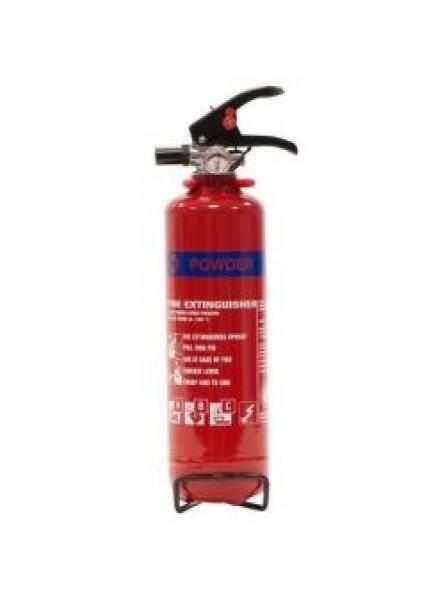 (Worth £2.50 ex VAT)This compact and handy&nbs..
2kg Automatic Dry Powder Fire Extinguisher for use in unmanned enclosures, tackling Class A, B, C a..
2kg Dry Powder Fire Extinguisher is suitable for use on fires involving wood, paper, textiles, flamm..
FREE WHITE RIGID ID SIGN WITH THIS FIRE EXTINGUISHER. 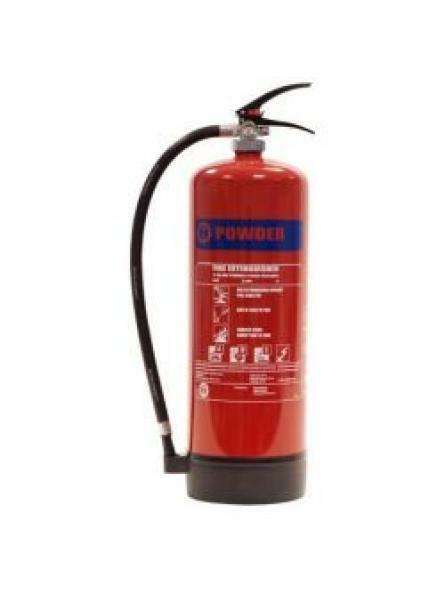 (Worth £2.50 ex VAT)This compact and handy 2kg..
3kg Dry Powder Fire Extinguisher for fires involving wood, paper, textiles, flammable liquids & ..